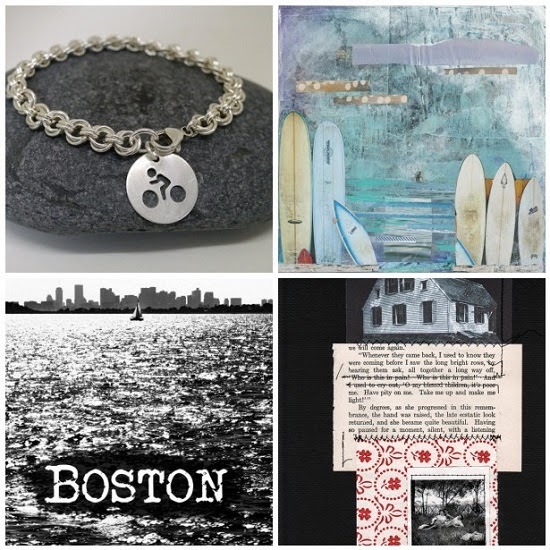 Boston Handmade: Monday Mosaic: Get out! Summer is finally here -- time to get outside whether you are an active-ist who likes to bike, sail or surf or more of a passive-ist who prefers enjoy the out of doors on picnic blanket, perhaps with your favorite beverage. And who says you can't be both, right?